Home > News > Caucciù! Bless you! Have you ever wondered what rubber is? 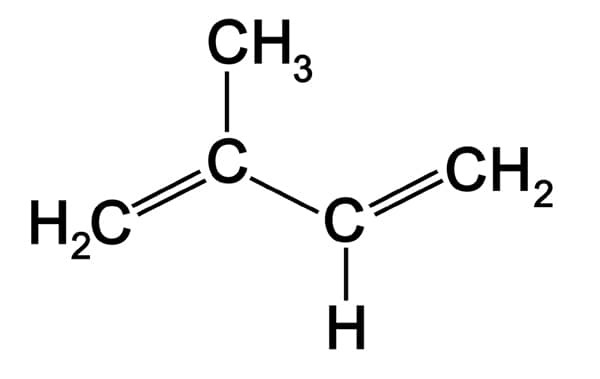 Natural rubber (or rubber) is a polymer of the isoprene molecule also called 2-methyl-1,3-butadiene. The source of natural rubber is a milky liquid known as LATEX, which appears to be a suspension containing very small rubber particles. The best and most valuable qualities of natural latex are extracted from the tree Hevea brasiliensis, present in Southeast Asia and also in some countries of tropical Africa. Most of the latex is converted into dry rubber through the latex coagulation process. However, rubber can also be of synthetic origin. It is produced starting from simple hydrocarbons, generating through artificial polymerization, which are subsequently coagulated. They are part of the synthetic rubbers: the styrene-butadiene rubbers (SBR), the nitrile rubbers, the neoprene, the silicone rubbers. To be used and transformed into products for everyday use, the rubber undergoes a vulcanization treatment, ie it is chemically bound to the sulfur by heating (a process invented / discovered by Charles Goodyear in 1855). The sulfur atoms binding to the long molecular chains of the rubber, make it less sensitive to temperature changes. This process serves to give elasticity and hardness to natural rubber and synthetic rubbers. If the sulfur content is increased, the amount of cross-links also increases, giving a harder and less flexible material. This premise serves to make you understand how important it is to measure the specific weight of the rubber for example in the production of tires. In fact, in their production process, weight is very important. The weight of each tire is very precise and tires that exceed the weight limits required by law can not be sold. Density measurement is also an important aspect of checking the quality of a polyurethane mattress, as the density value represents the amount of material used to build the foam. The higher the value, the greater the degree of holding heavy weights, distributing the weight uniformly; a low density instead indicates less weight and more air inside the foam with the result that, under pressure, the mattress could deform irreversibly, not returning to the original shape. The UNI ISO 2781 is the specific standard that regulates the determination of the density of vulcanized and solid thermoplastic rubbers. This determination is particularly important for the quality control of the compounds and for the calculation of the rubber mass necessary to produce a given volume of material. Thanks to our innovative fully automated density determination system that complies with this international standard, the accuracy of your measurement will no longer be a problem!! This entry was posted in News and tagged ISO 2781, latex, rubber, vulcanization. Bookmark the permalink. ← Are you a Graphite or a Diamond? Density tells you!